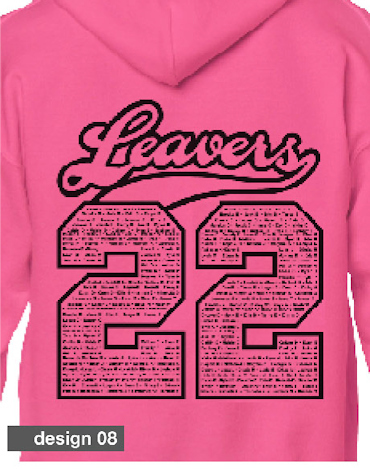 We offer a wide selection of high quality leaver hoodies printed in your choice of design or logo. 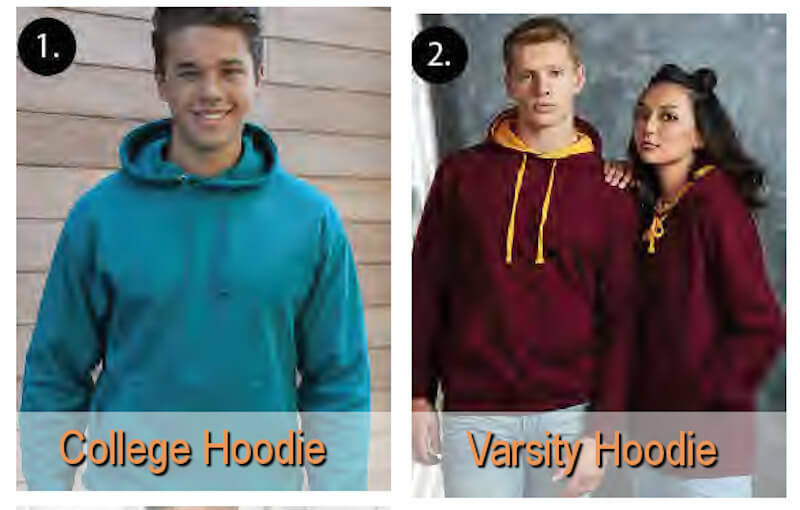 Choose from College or Varsity style hoodies. 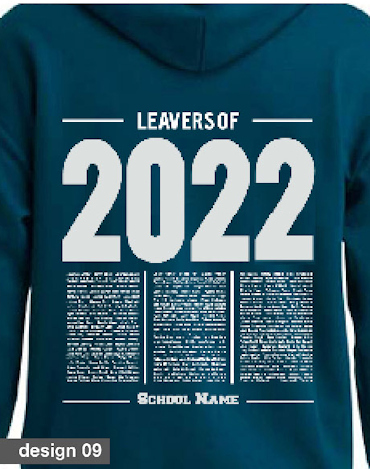 There is a wide selection of colours to choose from, allowing you to match up with your school colours. 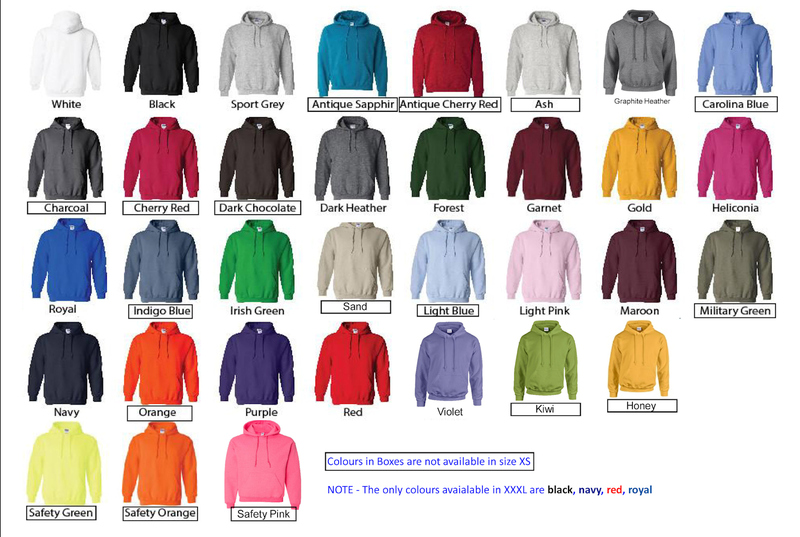 Have a look at some of the colours we offer below. 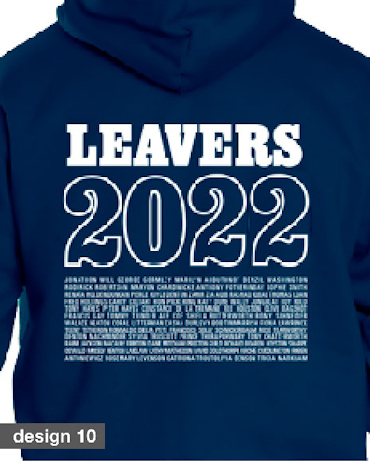 You can choose from a range of 3 front badge options and twelve designs for the back of the hoodie. 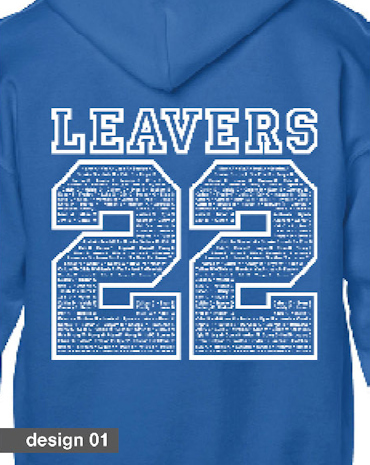 If you prefer, you can even choose your own embroidered or custom logo design to make your leaver hoodies stand out from the crowd. Contact Us for further details or to place your order. 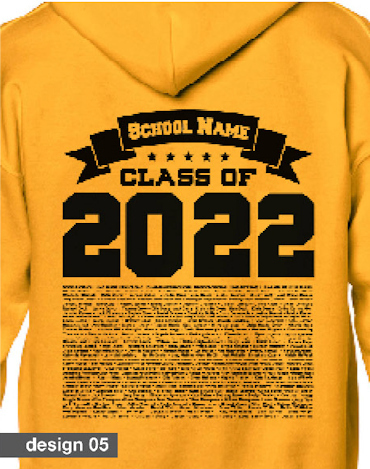 Select an embroidered logo, a small screen print or a large chest screen print for the front of your hoodie. 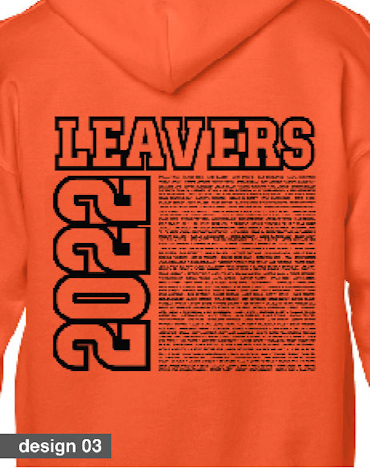 A traditional design that sets your hoodies apart from the rest while offering a hardwearing and professional finish. 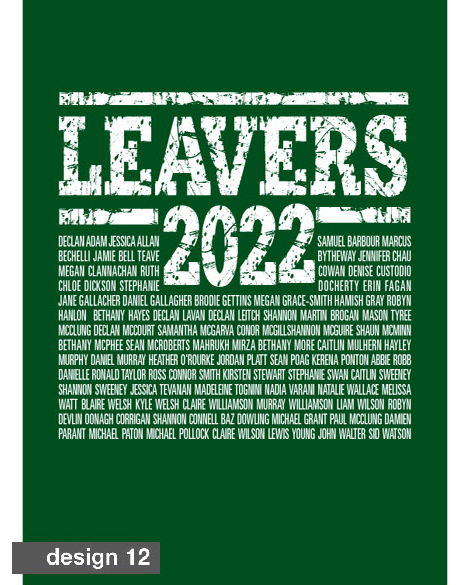 Single colour small logo and text printed with state of the art industrial screen printers ensuring durable high quality and fine detailed printing. 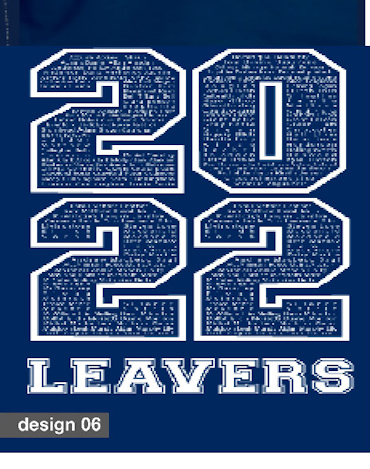 Large, bold text and graphics printed with a high quality printing process, especially suitable for large varsity style designs and double printed for durability. 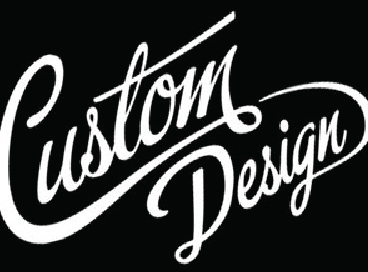 Choose from a stylish selection of twelve pre-set designs (or contact us with your own designs). 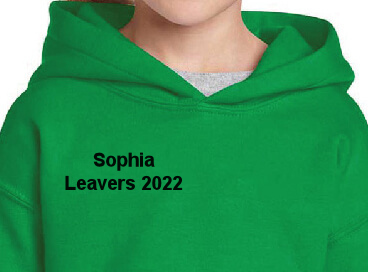 For a truly customised hoodie, finish your garment with one of our optional extras. 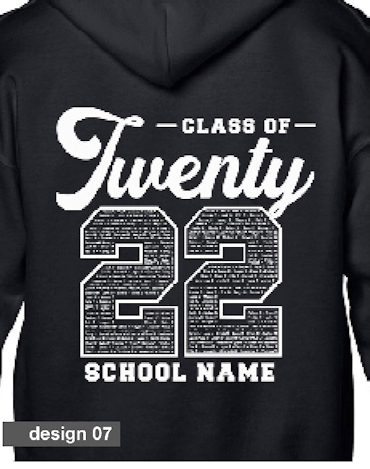 Each hoodie can be tailored to the individual. 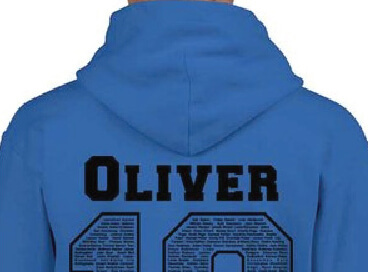 Choose from embroidered nicknames or even have your names printed across the shoulders of the hoodie. 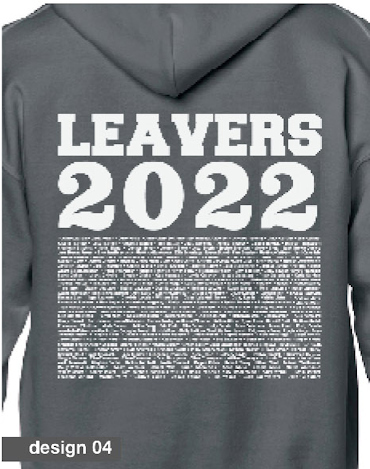 If you have a design of your own, this can be printed on your hoodie. 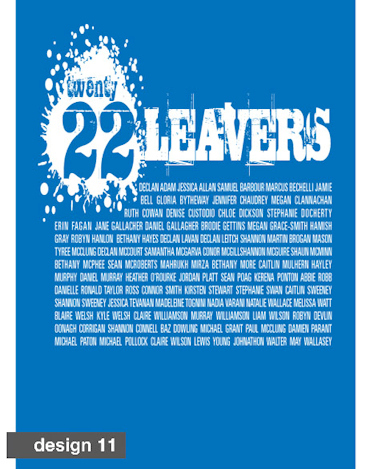 As an added extra, we can design and print a bespoke graphic to your specification.